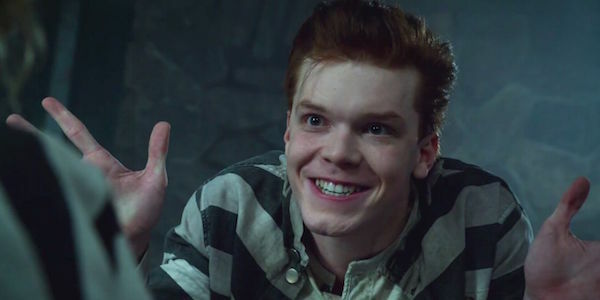 Cameron Monaghan, the actor who plays Young Joker (Jerome) on Fox’s Gotham, has had a long history of posting brief glimpses of his character on Instagram. Now that Jerome is back, so are Monaghan’s cryptic photos. 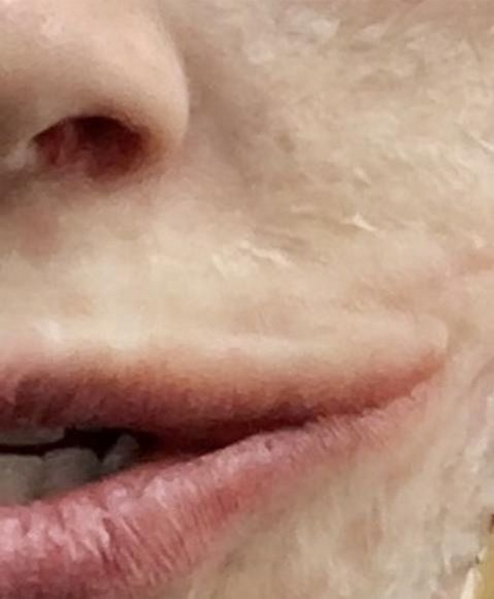 The first few to come out of the actor’s Instagram since his character’s resurrection are both creepy and very intriguing, leaving many to wonder which version of the Joker Gotham will channel for its depiction. Jerome, who was killed after a failed assault on Arkham, is set to return from the dead somehow, and it looks as if he’s going to get a fresh look to go along with his new elevated status among the city’s criminal underground. 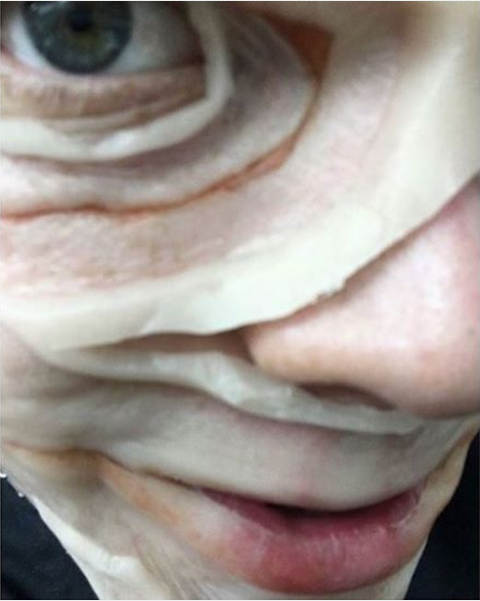 The first photos teased by Monaghan show a kind of fleshy mask that covers the actor’s face and around his nose. The mask looks as if it will imitate torn, or decaying skin. This isn’t completely surprising considering Jerome actually was a corpse at one point. 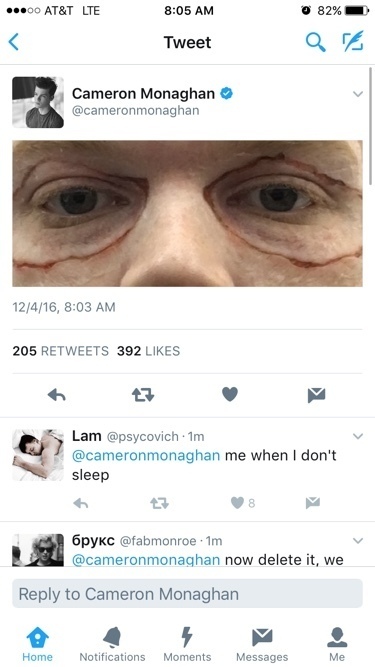 Other images briefly posted on Monaghan’s social media accounts include a now-deleted Tweet showing off blood-red circles around Jerome’s eyes. And another deleted photo of Jerome sporting the famous Joker smile. Based on these images, the flesh mask in particular, it’s not a stretch to assume that Jerome’s return to Gotham might have the actor look something like the Joker from Scott Snyder’s Death of the Family arc, where the Joker asks the Dollmaker to surgically remove his face. After the operation, the Joker proceeded to wear his own, decaying face, as a mask, a look that made it so that his own face hung loosely around his head. Since a version of the Dollmaker already exists in Gotham, alongside Snyder’s other creations, the Court of Owls, the pieces to set this arc into motion are already in place. Then again, the Joker’s appearance could still just be a loose adaptation of the New 52 Joker mask look, opening the possibility of an even creepier look for the Clown Prince of Crime. Gotham airs on Fox every Monday at 8 p.m. Eastern.